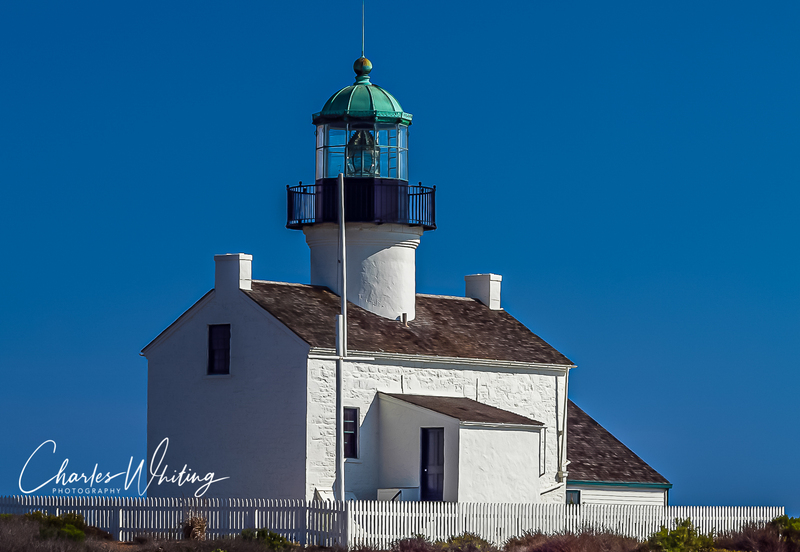 Old Point Loma Lighthouse framed by a perfect blue sky. San Diego, California. Photo © copyright by Charles Whiting.